Is creating new paths and setting new standards for agricultural projects that meet regional food production needs and integrate a healthy environment and economic profitability through our master-planned agricultural environments. ACTS Freedom Farms of America is building energy-efficient, low maintenance, digitally smart homes, with Veterans in mind, that can be purchased with cash, a VA, FHA, or Conventional mortgage. 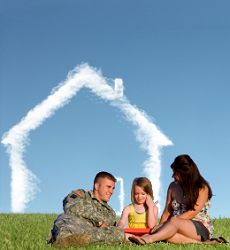 Our goal is to assist military families in finding and securing affordable cost-effective, homes while at the same time providing long-term opportunities for meaningful and sustainable work in the agricultural field. ACTS Freedom Farms of America master-planned agricultural environments feature distinct differences and advantages that provide veterans with options to provide a better life for themselves and their families. ACTS Freedom Farms of America live-work master-planned agricultural environments balance “green building” technology, interior and exterior “barrier free” accessibility and usability, energy-saving amenities, cutting edge architectural designs and features, and a positive atmosphere for all homeowners, business owners, and tenants. Watch for more ACTS Freedom Farms of America live-workprojects coming soon! A master-planned agricultural community on 126-acres located in Helena, MS. This community offers sixty single-family homes for sale on one-plus acre lots which offers space for micro-farm operations. For more information on the Cypress Creek Farms project. Click Here. The proposed project consists of approximately 476 acres that lie about 2 miles north of the city limits of Moss Point in Jackson County, Mississippi and only 8 miles from Cypress Creek Freedom Farms. Single-family residences and other housing options from young singles and families to retirement-age individuals in conjunction with 200 Veteran micro-farms will be the primary land use throughout the mixed-use development. Community consists of 1280+ acres. Situated in Antelope Valley, the western-most valley of the Mojave Desert, this land development provides approximately 350 + single-family homes sitting on 2-acres designated for micro-farm operations. As part of the former Larson Airforce base, the project consists of 900 acres which includes property adjacent to and inclusive of the actual airport itself. The Moses Lake Freedom Farms project will include parts of the existing tarmac, hangars, industrial buildings and the already functional food processing center. Approximately 400 + housing units on 1-acre micro-farms are designated for micro-farm operations.